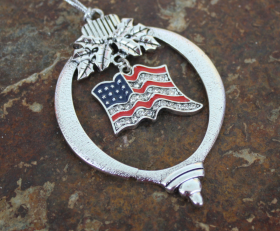 Show your love for the flag and USA with this Ornament. 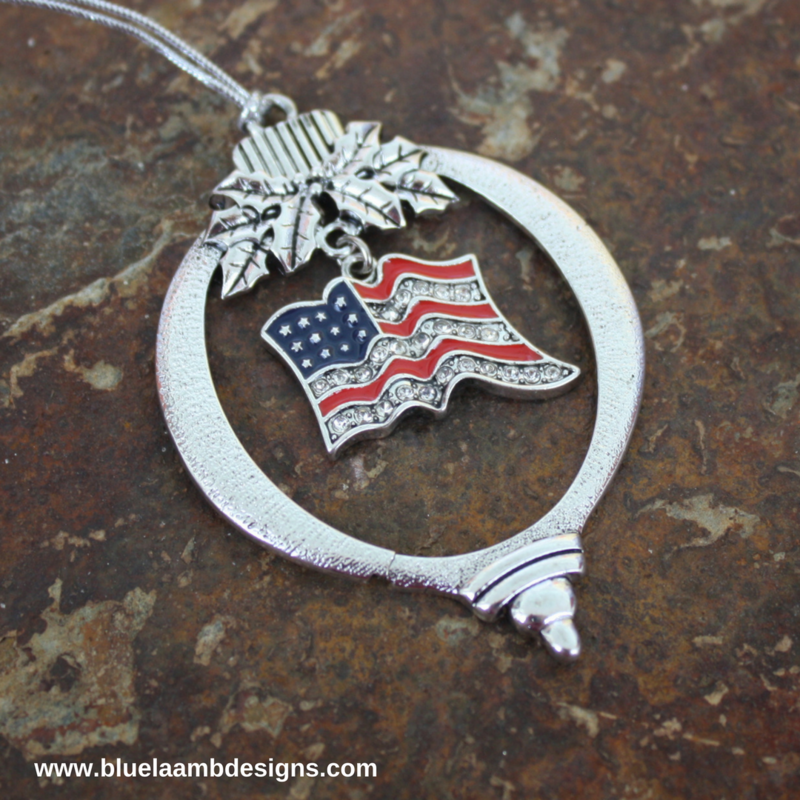 Red, white and blue crystal American flag hangs inside the “ornament” ornament. Categories: A Little Bit of Everything, Christmas, Ornaments.